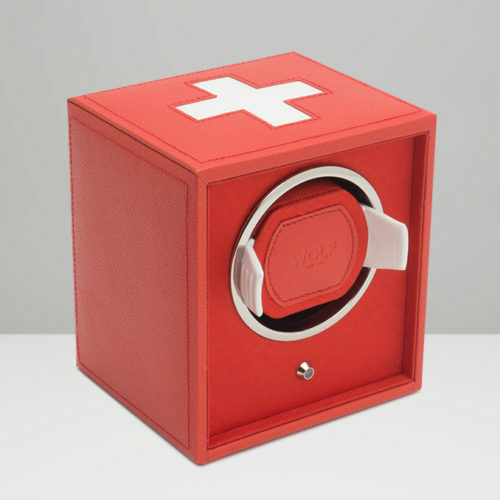 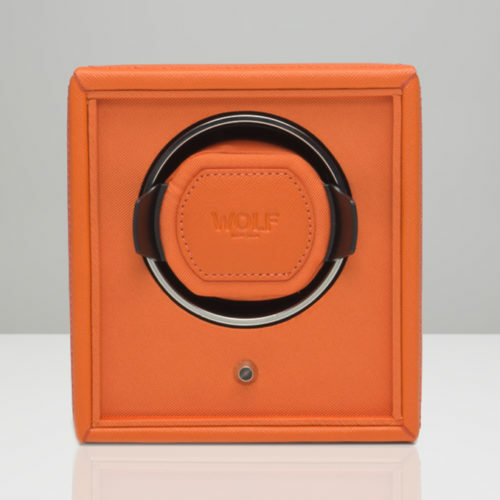 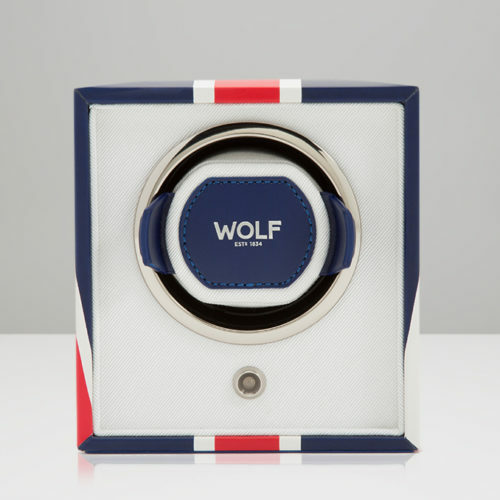 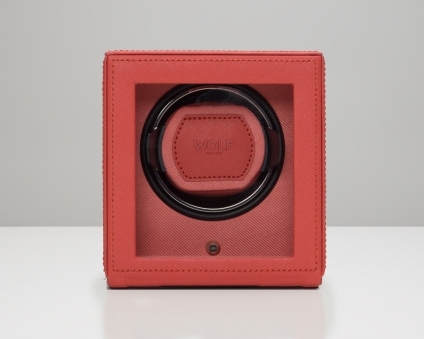 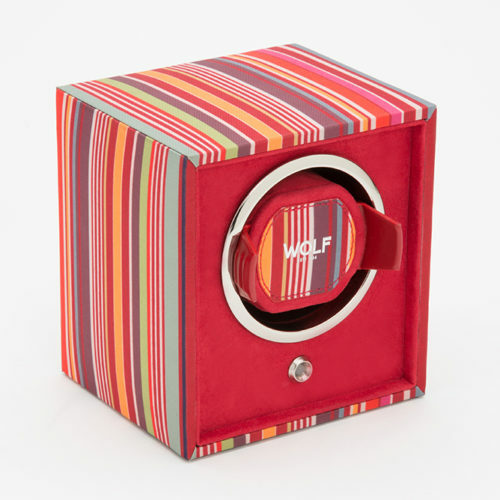 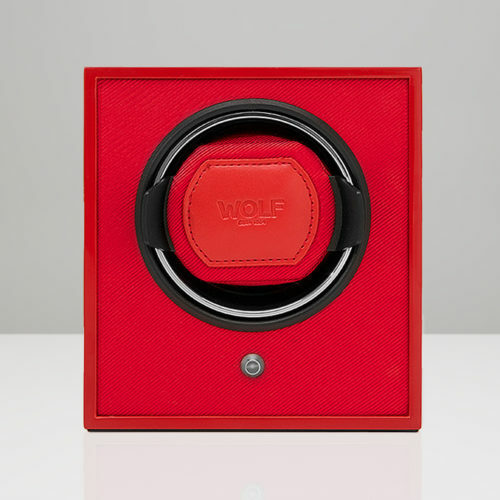 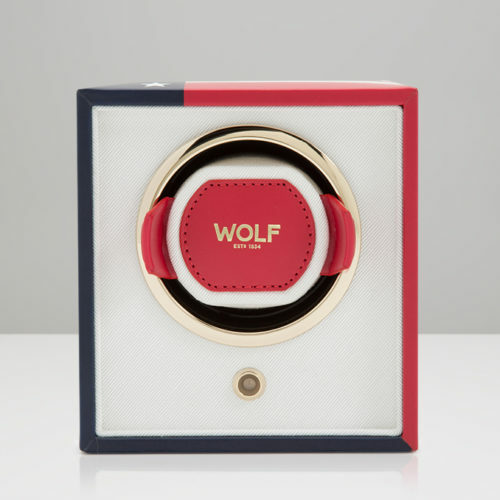 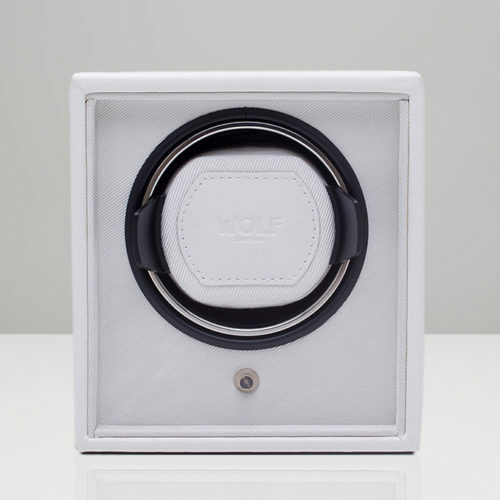 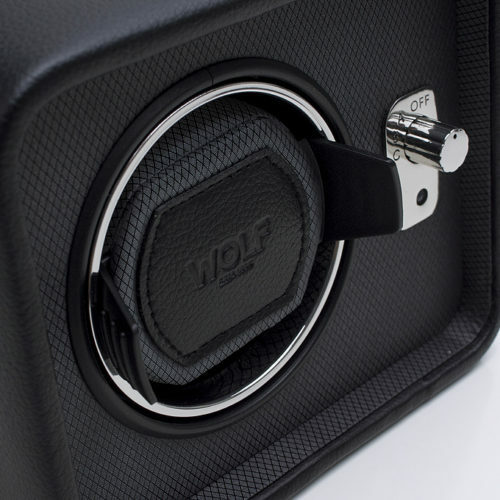 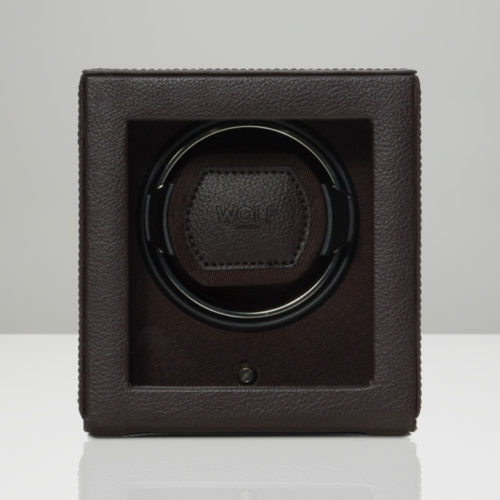 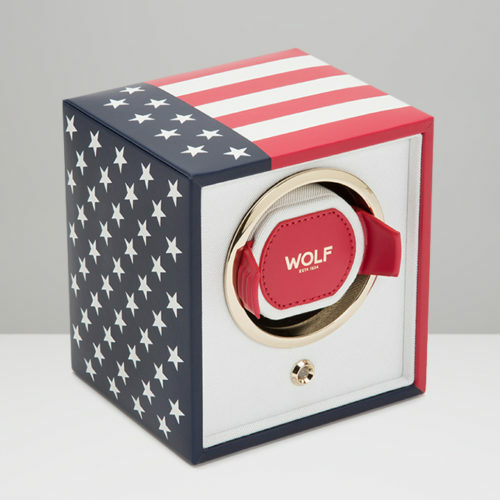 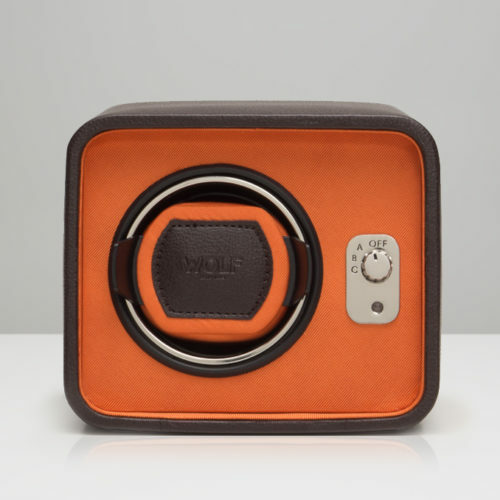 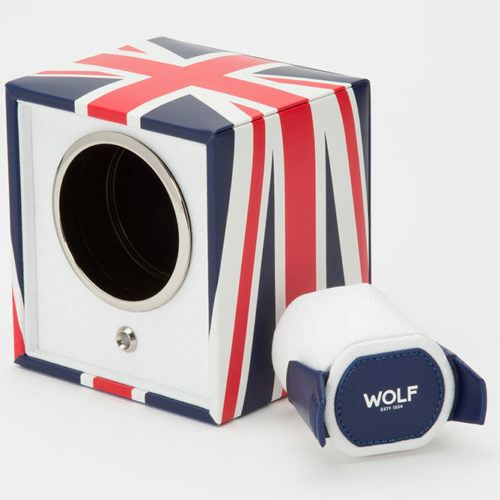 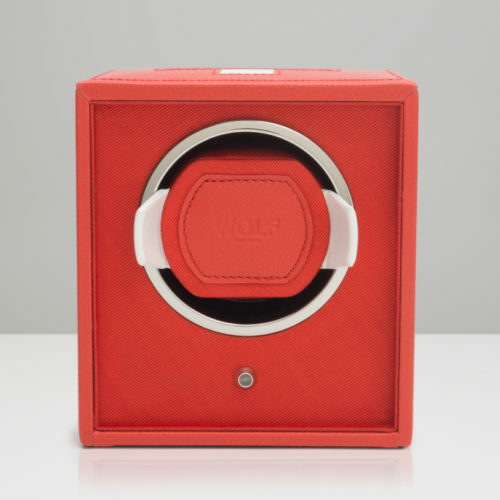 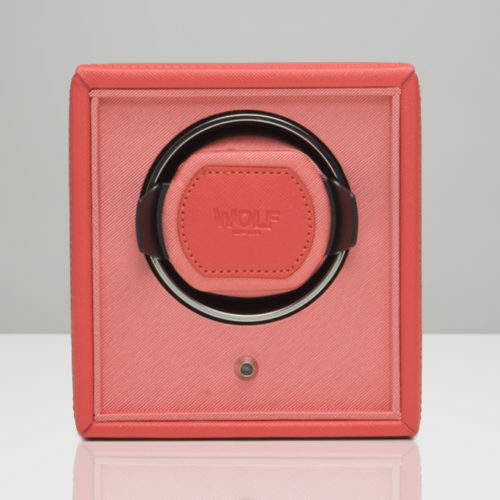 Keep your premium watch ticking by parking it on a WOLF watch winder. 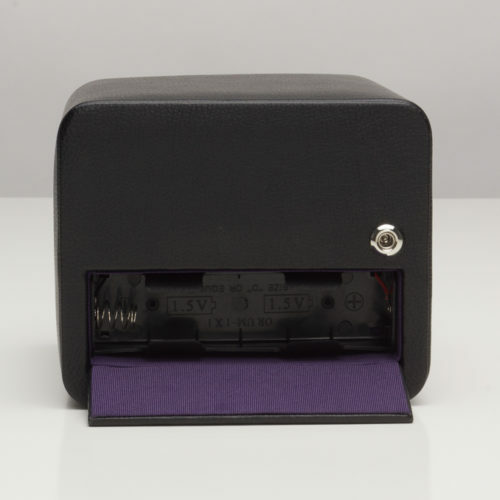 We make watch winders to accommodate all types of automatic watches. 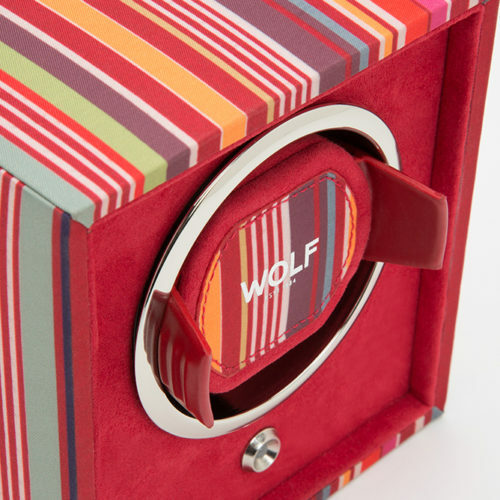 Cubby for Cub winders allows you to stack your Cubs as high you like. 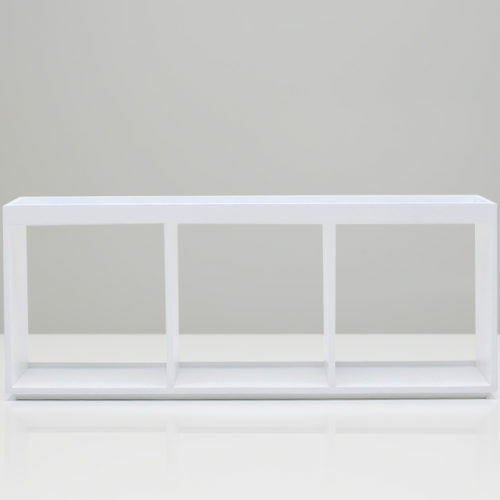 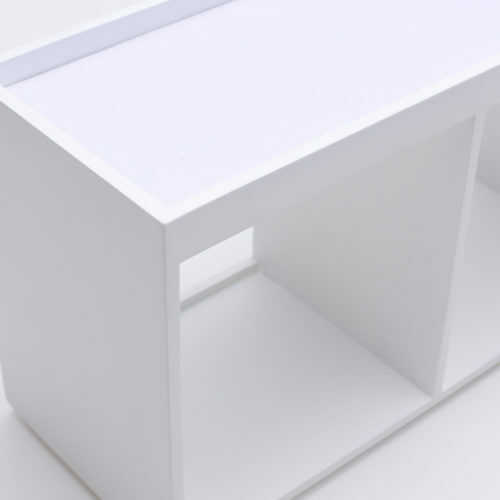 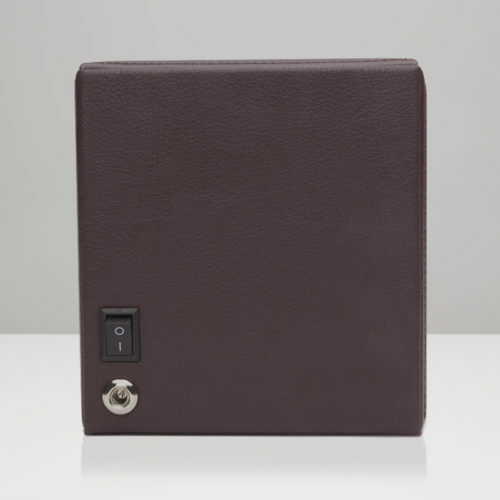 Also includes recessed accessory tray. 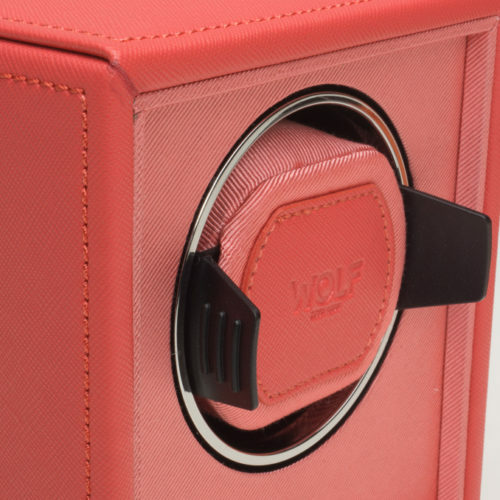 Disclaimer: Lacquered Cubs and Cubs with cover are not compatible with the cubby. 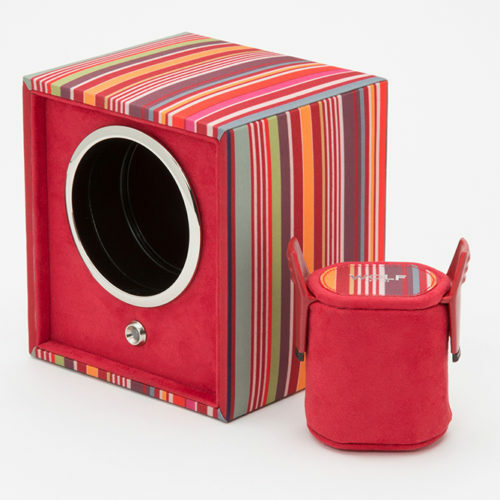 Cubby for Cub winders allows you to stack your Cubs as high as you like. 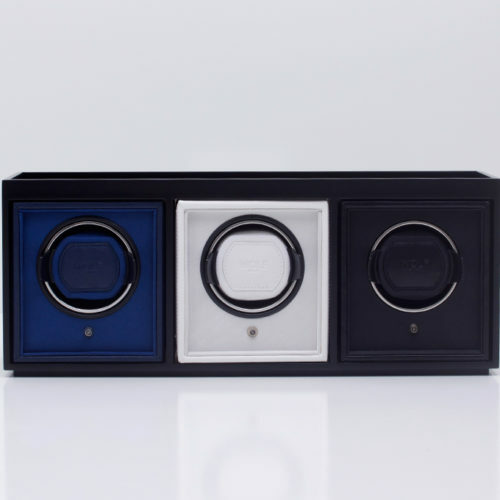 Also includes recessed accessory tray. 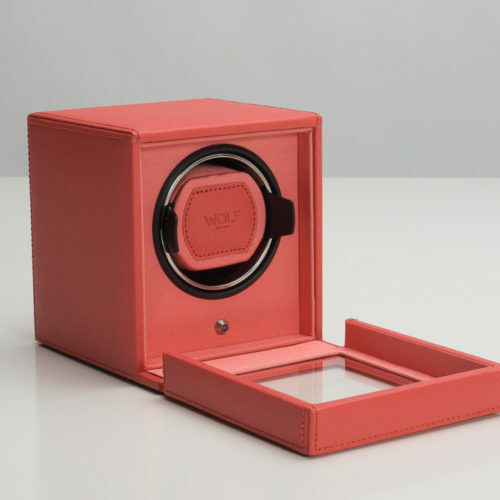 A meticulously engineered watch winder with a sharp design, the Cub includes a coral Saffiano finish, coral grosgrain faceplate, chrome finished hardware and a single winding module. 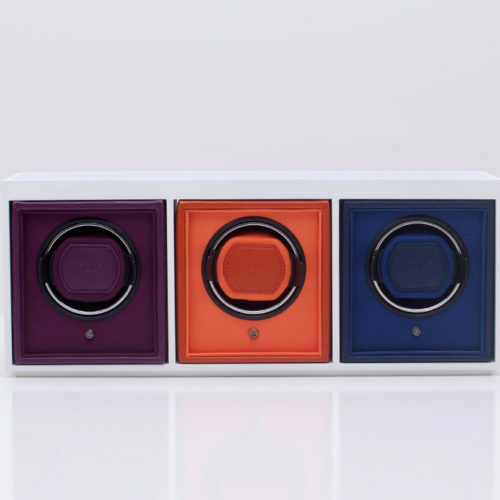 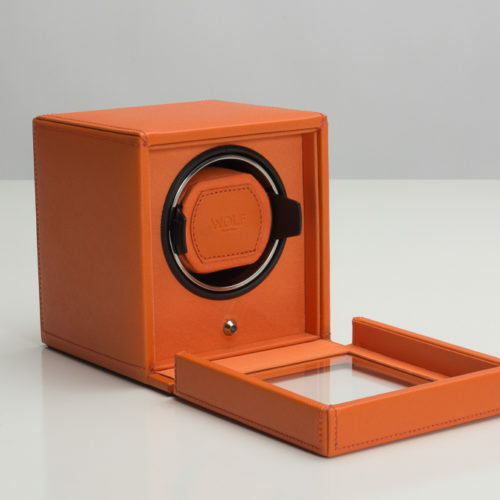 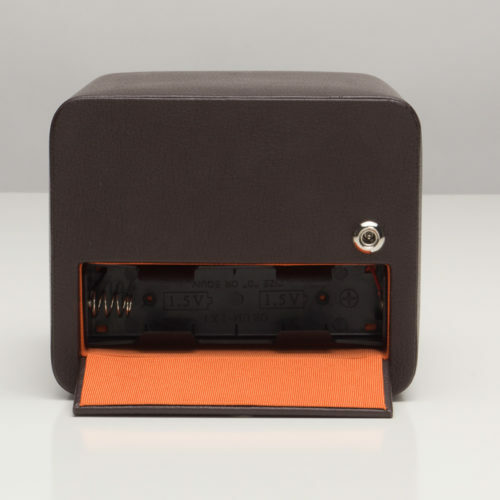 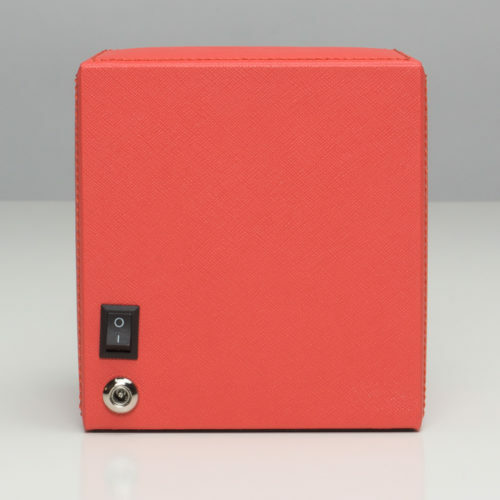 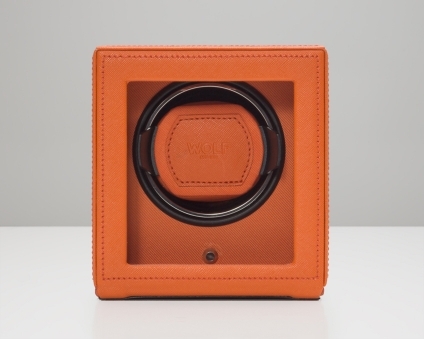 A meticulously engineered watch winder with a sharp design, the Cub includes a orange Saffiano finish, glass cover, coral grosgrain faceplate, chrome finished hardware and a single winding module. 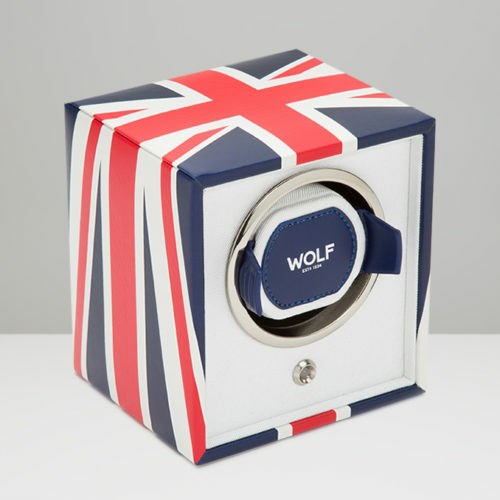 The Limited Edition Union Kingdom Navigator Cub, a meticulously engineered watch winder with a sharp design, includes a white, red, & blue finish & white grosgrain faceplate that emulate the Union Jack flag. 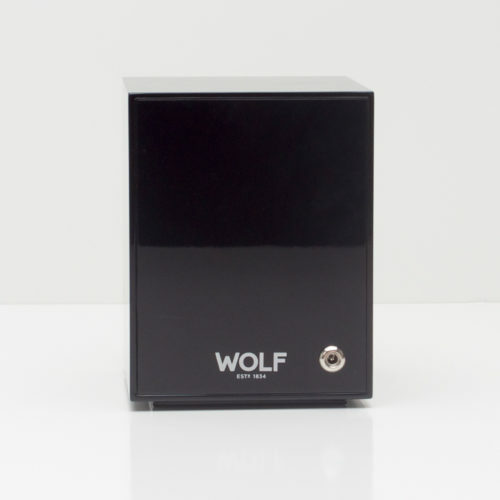 It has gold finished hardware and a single winding 1.8 module. 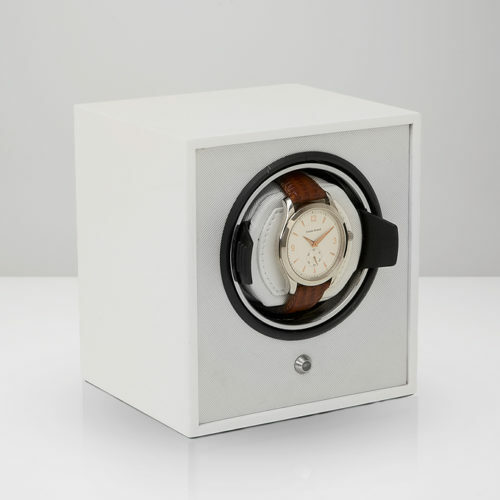 The Navigator Collection pays tribute to over 180 years of influence and heritage. 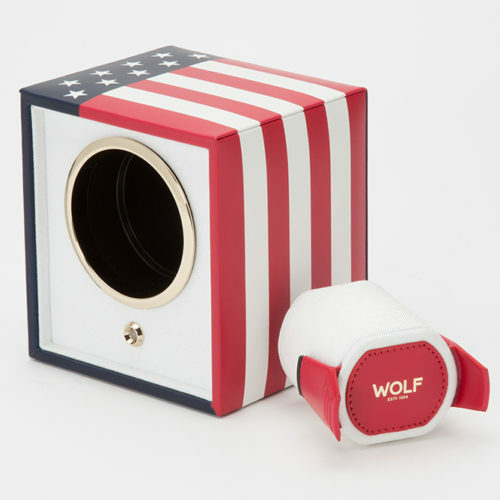 The Limited Edition USA Navigator Cub, a meticulously engineered watch winder with a sharp design, includes a red, white, & blue finish & white grosgrain faceplate that emulate the American flag. 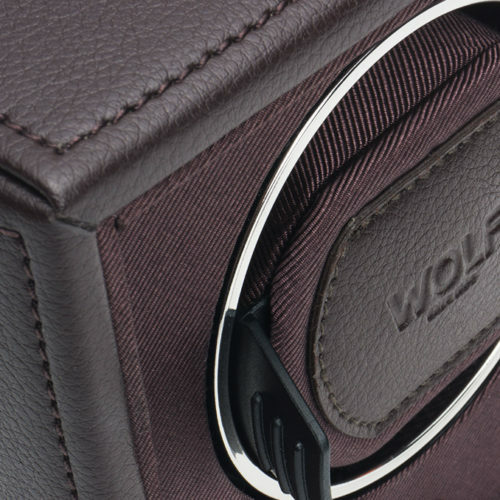 It has gold finished hardware and a single winding 1.8 module. 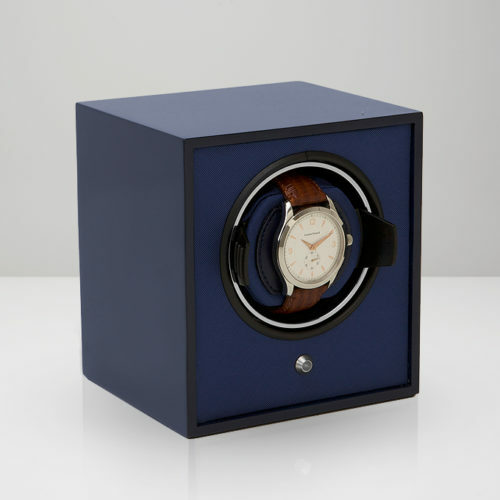 The Navigator Collection pays tribute to over 180 years of influence and heritage. 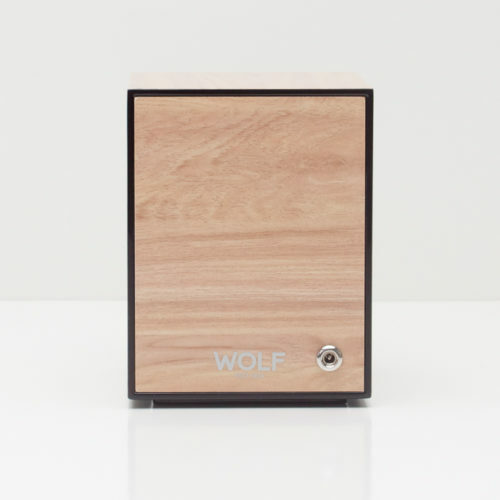 The Howard Stripe cub is one of a kind. 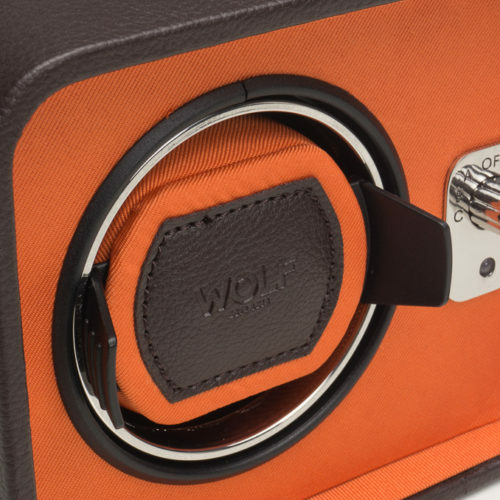 With an exclusive design for WOLF by Fiona Howard, the Howard stripe is the perfect combination of retro and exclusivity. 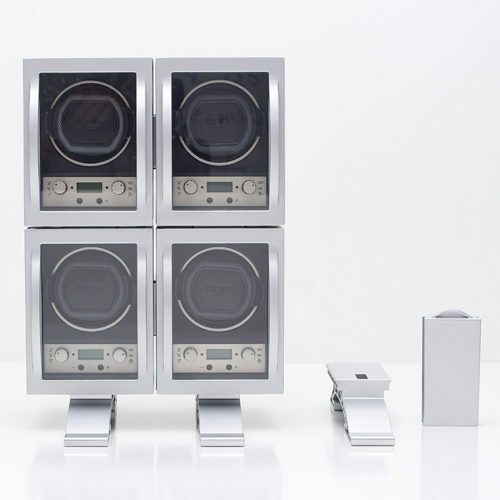 It comes with chrome finished hardware and a single winding 1.8 module. 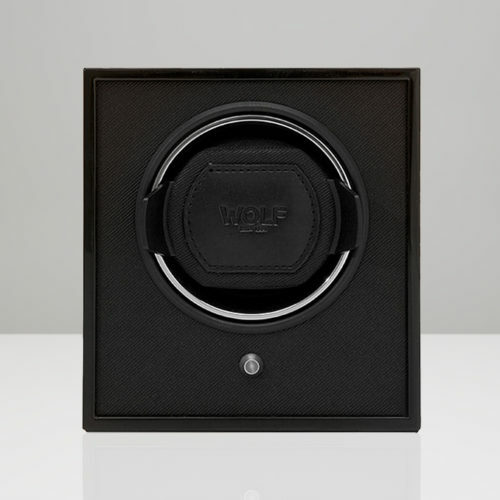 A meticulously engineered watch winder with a sharp design, the Lacquered Cub includes a black high gloss finish, black grosgrain faceplate, chrome finished hardware and a single winding module. 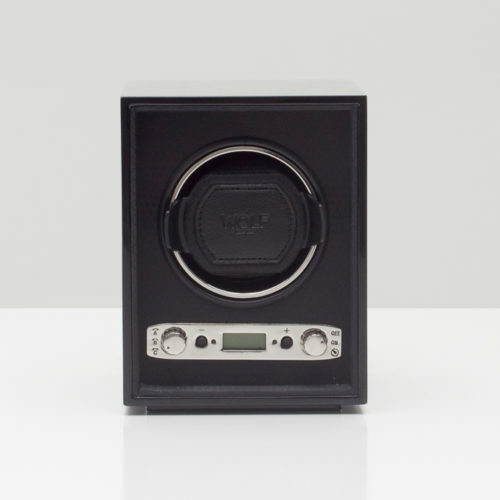 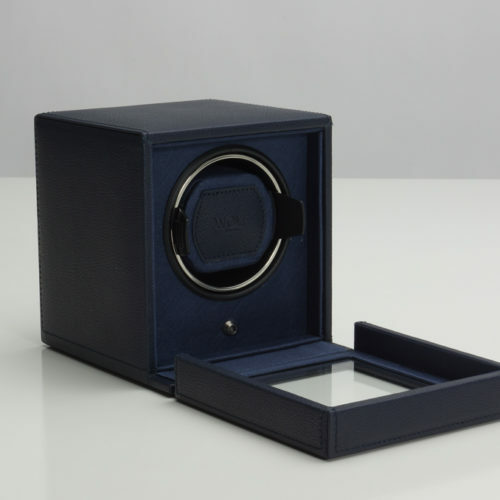 A meticulously engineered watch winder with a sharp design, the Cub includes a black Saffiano finish, glass cover, black grosgrain faceplate, chrome finished hardware and a single winding module. 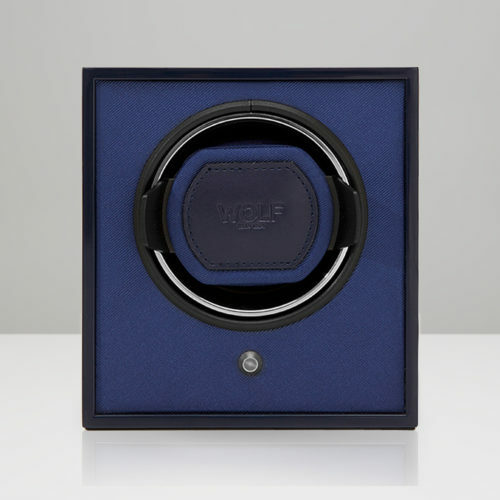 A meticulously engineered watch winder with a sharp design, the Cub includes a blue Saffiano finish, glass cover, blue grosgrain faceplate, chrome finished hardware and a single winding module. 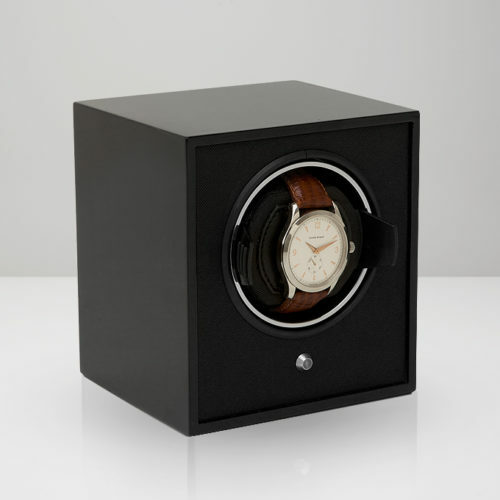 A mid-century inspired watch winder, the Windsor combines sharp design with smooth edges. 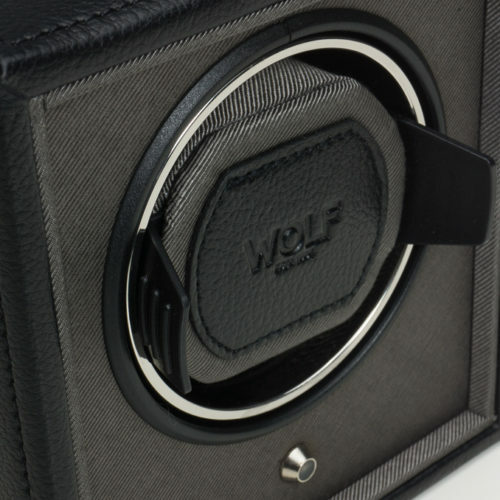 Includes chrome finished hardware, black pebble faux leather, silver textured silk faceplate and a single winding module. 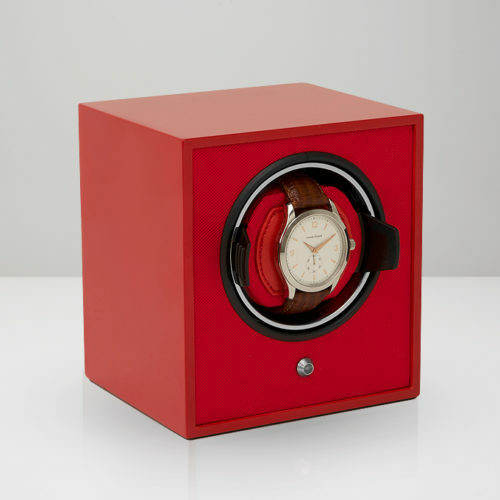 A mid-century inspired watch winder, the Windsor combines sharp colors with smooth edges. 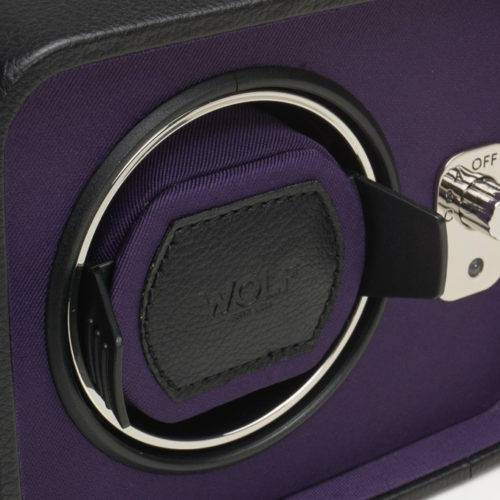 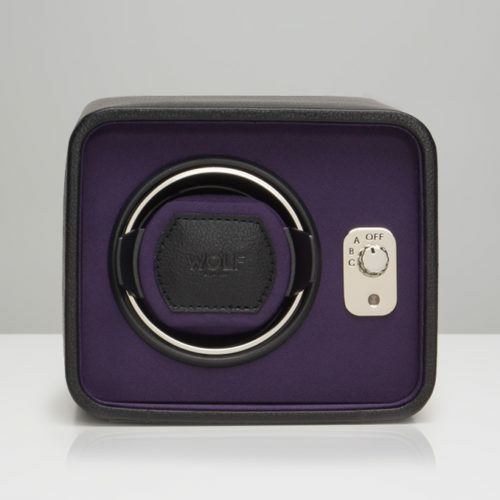 Includes chrome finished hardware, black pebble faux leather, purple textured silk faceplate and a single winding module. 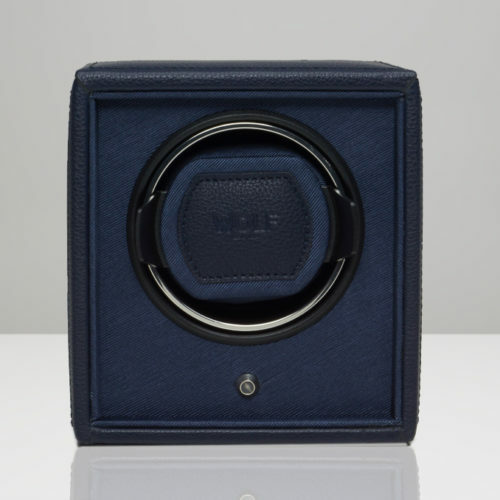 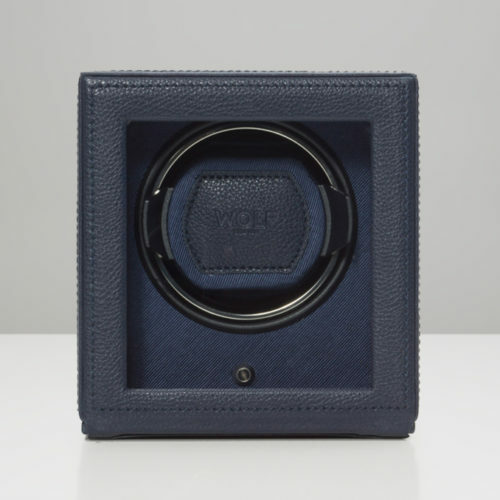 A meticulously engineered watch winder with a sharp design, the Cub includes a coral Saffiano finish, blue grosgrain faceplate, chrome finished hardware and a single winding module. 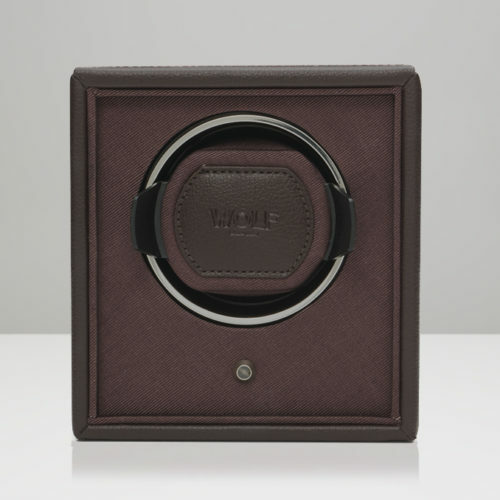 A meticulously engineered watch winder with a sharp design, the Cub includes a coral Saffiano finish, brown grosgrain faceplate, chrome finished hardware and a single winding module. 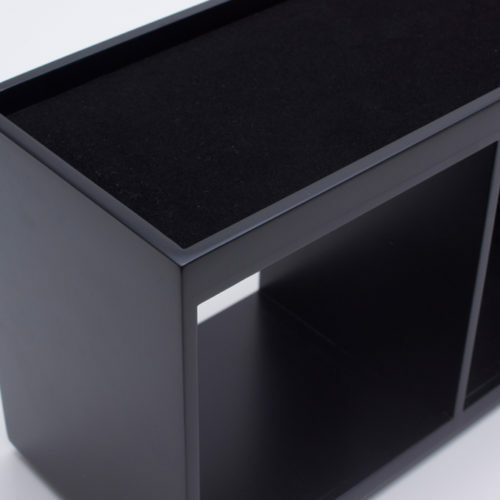 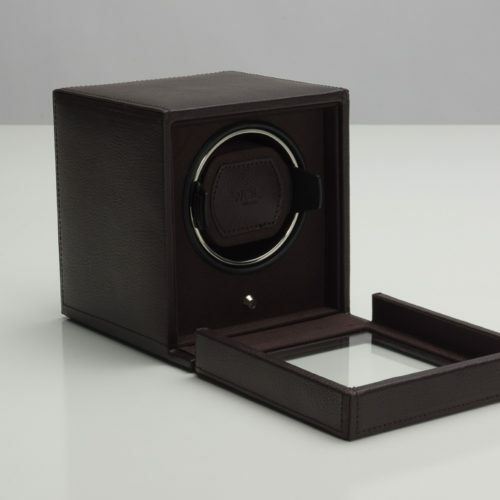 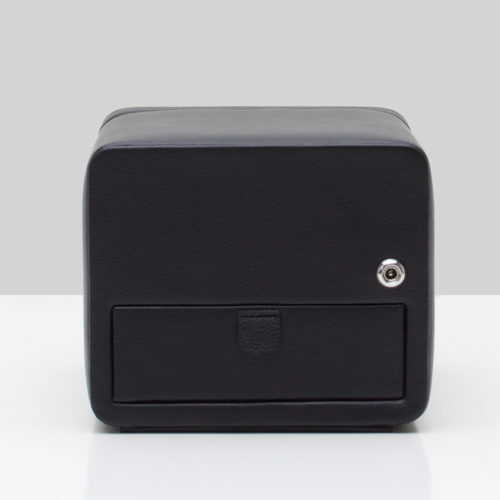 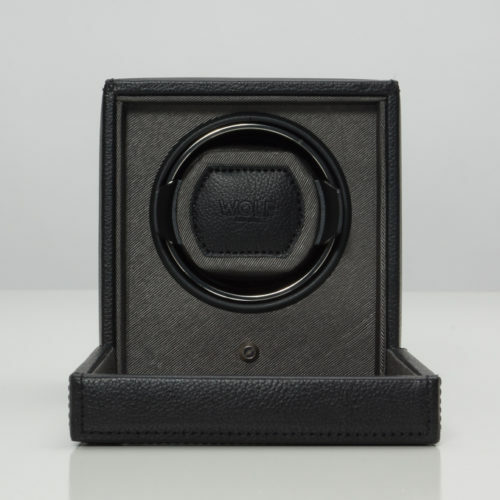 A Meridian watch winder, in black, incorporates the ability to completely customize your accessory storage through a unique modular system. 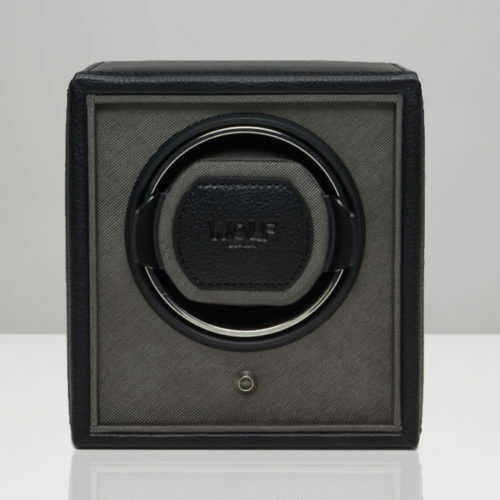 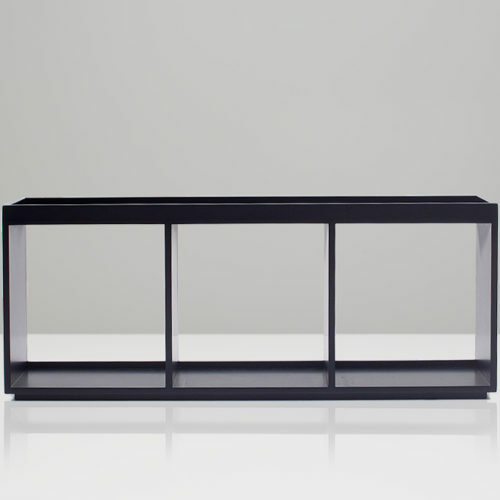 Includes single winder module, black textured silk, high gloss finish, wooden frame and chrome finished hardware. 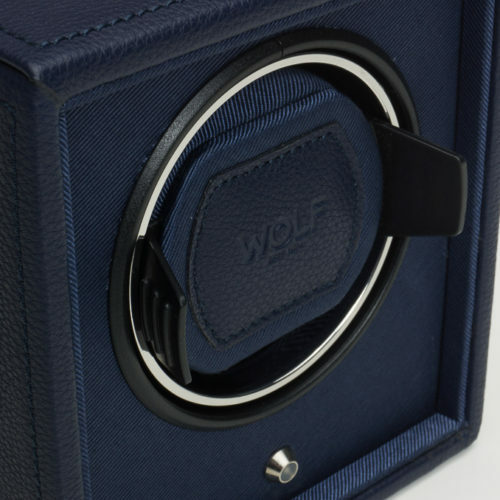 A meticulously engineered watch winder with a sharp design, the Lacquered Cub includes a blue high gloss finish, blue grosgrain faceplate, chrome finished hardware and a single winding module. 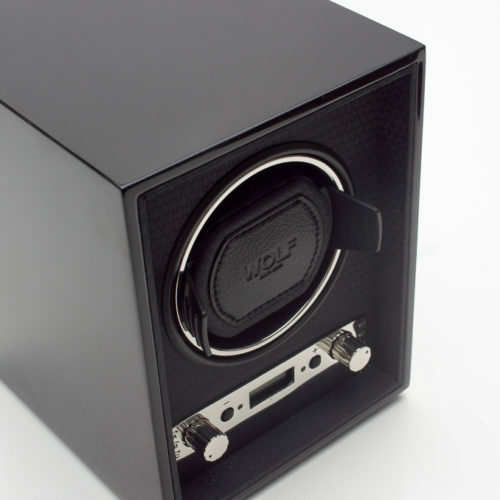 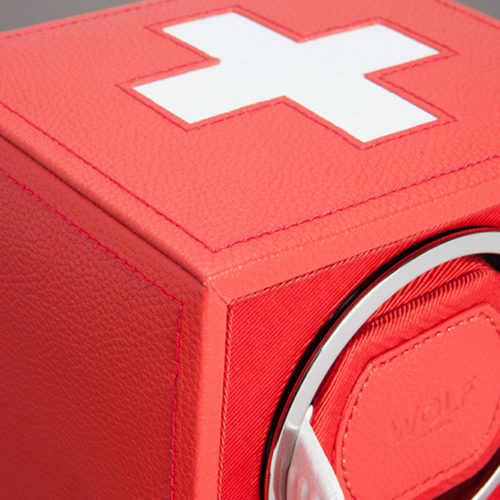 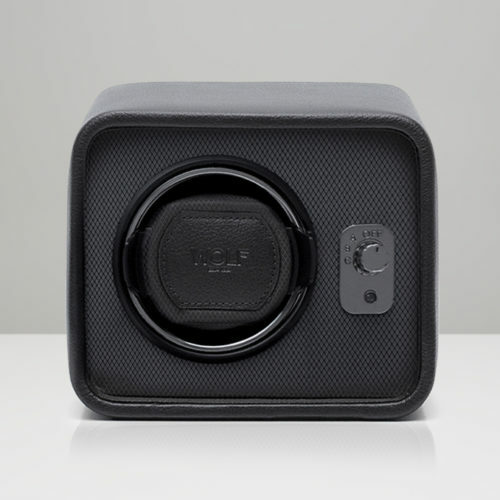 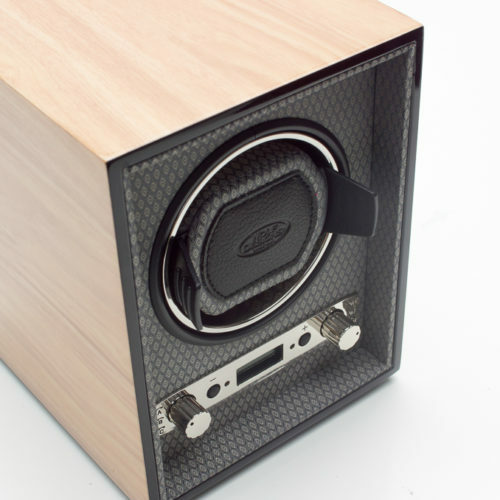 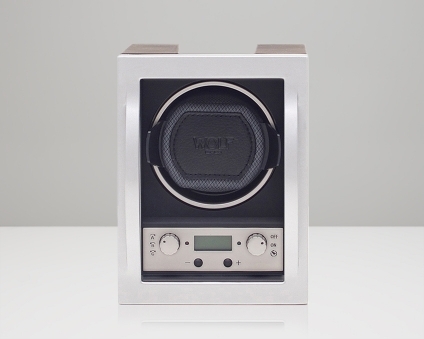 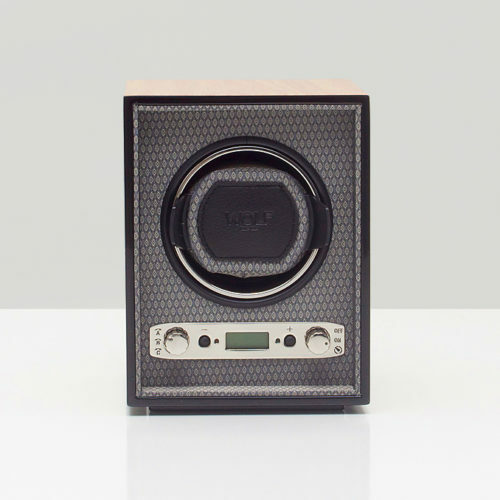 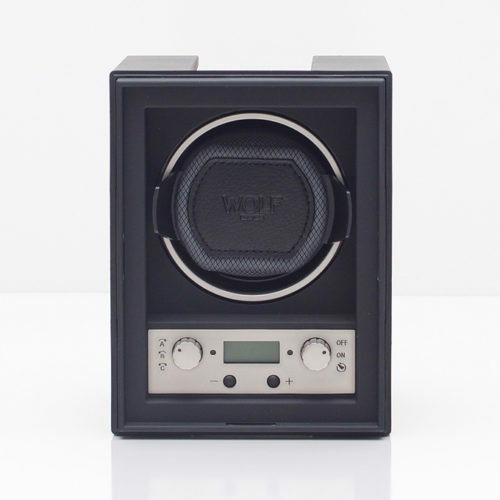 A meticulously engineered watch winder with a unique modular design, the Module 4.1 can be stacked with an unlimited amount of units. 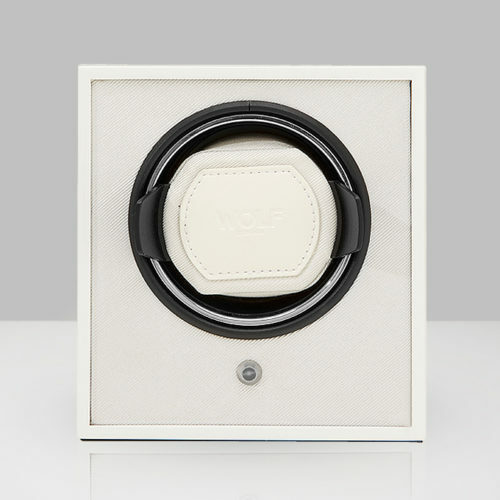 Includes glass cover, connector piece and bridal cable. 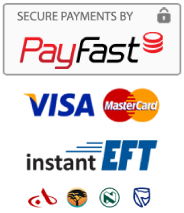 Purchase multiples and save (see above).